Charlie Wong is a young woman who because of her Chinese upbringing is referred to as an “FOB” or “fresh off the boat” even though she’s been in America for over ten years. She made the long one-way journey over with her professional ballerina mother, her noodle master father, and her baby sister Lisa. Father wanted to leave communist China for the endless opportunities that America could provide, while mother followed her husband for the sake of love. They ended up in Manhattan’s Chinatown where father continued his mastery in noodle-making and mother put her dancing career on the back burner. A few years later mother died unexpectedly of a massive stroke and Charlie started working with her father in the restaurant as a dishwasher. Father is old-fashioned and a believer in the unorthodox traditional Chinese medicine which he views as a way of a healthy life yet he could not make any opinions known to his friends and family about why his beloved wife had died. Without solely bearing the responsibility himself, he has decided to hold the American health care system responsible for the misdiagnosis of his wife’s fatal circumstances and will never make that same mistake again. Charlie always wondered what happened to her mom, she believed it had to do with the move to America, but not because of the health care system like her father had believed. 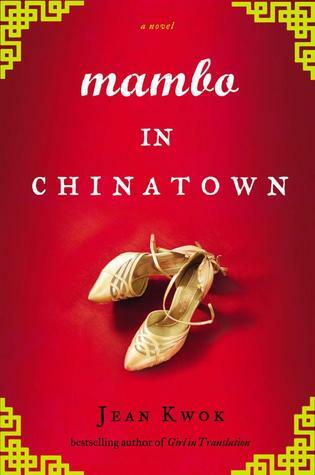 Charlie felt that the love of dancing that her mother had throughout her life, had stayed in China, while the move to America slowly killed her until she finally succumbed to the disillusionment. Eleven years later, Charlie has become the black sheep of the family. Clumsy, frumpy, a sub-par student and overall not the quickest of learners has brought her to this new normal. Charlie has nothing but the best of intentions and means well with everything she does, it just never seems to go her way. Nothing like her handsome and skilled father, she does not have the grace, intelligence, and glamour of her mother except for her feet. It looks like Charlie will be relegated to dishwashing duties in the confines of Chinatown for the rest of her life. At eleven-years-old her precocious sister Lisa has taken on a part-time job in her Uncle Henry’s Chinese/Eastern medicine clinic and has recently been asked to apply for entry into a school for the brightest students in the state. Lisa has been blessed with beauty, intelligence, curiousity, ambitions, and a future that knows no bounds. What’s there for Charlie? Dancing, dishwashing, and relentlessly-stubborn xenophobes, this is a book that I generally wouldn’t gravitate to, let alone enjoy. I hate dishwashing with a passion, can’t stand people banging their head on a door time and time again and insist it doesn’t hurt, and I only dance when I stub my toe. However; the first one hundred or so pages of the book were in fact very compelling and had me anticipating when I would be able to pick it back up and continue on. I enjoyed reading about the struggle of being weighed down by your environment, abiding by and fighting gender stereotypes, and the gospel that are found in the traditional/antiquated cultural values. The whole us vs. them, the modern western state of mind vs. the traditional eastern philosophies of medicine, home remedies, and Buddhist principles provided an interesting conversation. It took a little adjustment to get acclimated to the style and narrative but once I did it was full steam ahead. By the middle and towards the end I found the story to become predictable, falling in line with what I was expecting when I was hoping it would surprise me. It became to syrupy in its romanticism for my liking, representing a true young adult novel and not one trying to transcend to a higher literary claim. I don’t mind a sweet story, but not when it comes across as cheesy and reminiscent of a teenage drama. There are also plenty of stereotypes and clichés in this book which didn’t upset me at all, but I am sure some people may be put off by it. Overall this was a good, worthwhile experience that had the potential to be great, but it failed to realize my hopeful expectations.